With the change in temperature and the upcoming holidays right around the corner, it’s time to make sure your lips are always ready to pucker up! Well in reality, smooth lips are always in season. And what better way than with a brand that has smooth in their name, eos (Evolution of Smooth). 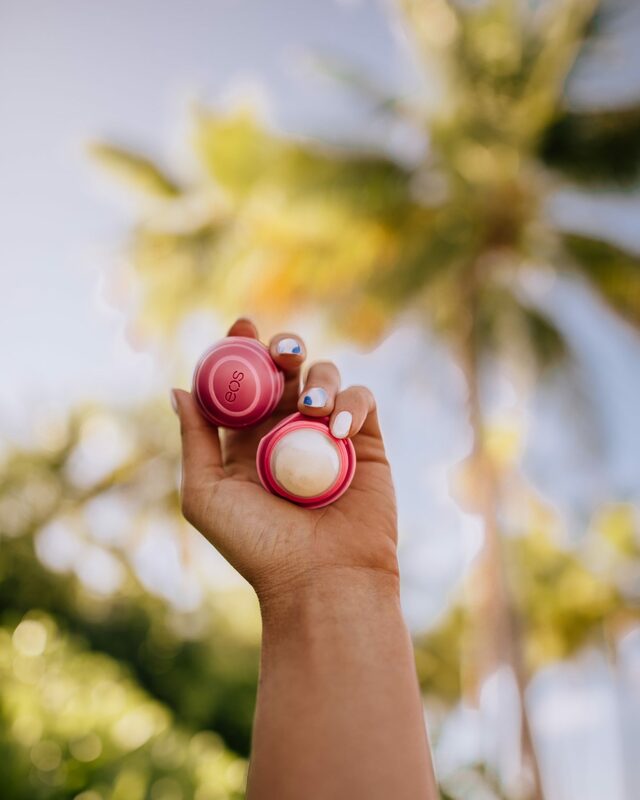 Whether I am at home in the cold or traveling to the tropics, one thing that I cannot live without is my eos lip balm! Seriously, I’m currently in the Maldives and I packed 3 of them! Even my boyfriend, James has been using it! I’ve been using eos for as long as I can remember, probably since High School (that’s over a decade now!) Oops, how badly did I just age myself? What initially drew me to eos back then was then was their adorable packaging. They were sleek, small and came in so many adorable colors! I don’t know about you guys but every year at Christmas my Mom puts a bunch of random but useful things into our stockings. Back then we didn’t appreciate the more useful things, but now it’s now become a tradition. Every Christmas morning we sit around the fireplace and tear into our stockings. Things I can always count on being in there are chestnuts, hand lotion, a clementine, and the newest holiday eos lip balm! So if you’re like me and leaving all your shopping to the last minute, trust me, these little guys are a no brainer! Thet make the perfect little add on or stocking stuffer! The newest addition is inspired by the classic scents of the season. 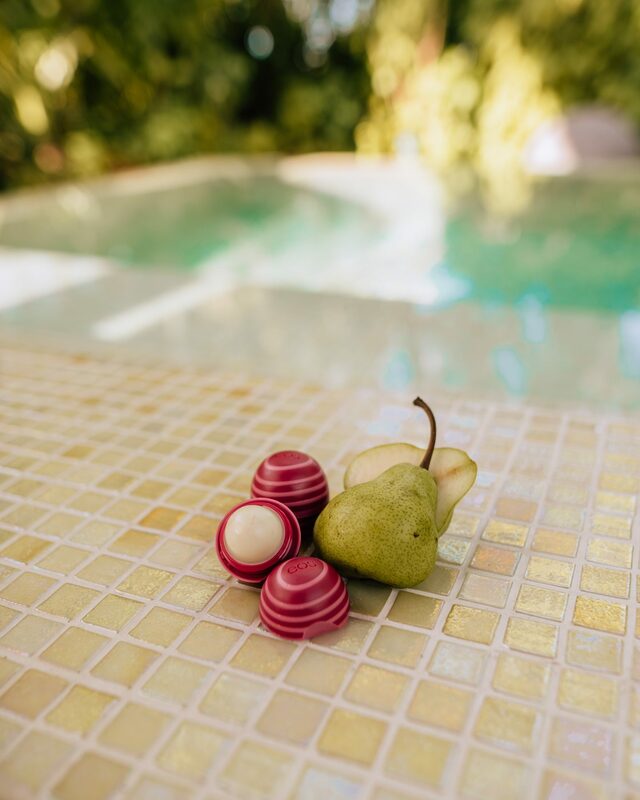 Cranberry Pear is enriched with moisturizing Shea butter and conditioning oils, giving you softer, more beautiful lips all season long. It’s sure to stir up some cozy memories of holiday cheer!